Nissan has produced a short documentary that depicts the history of Nissan�s �Miss Fairlady�. 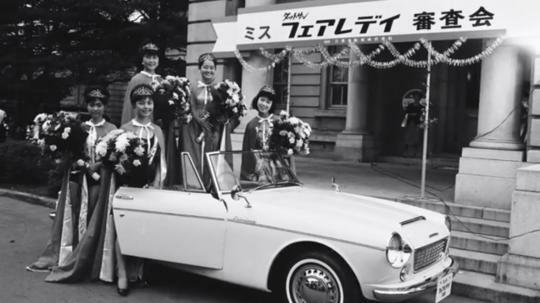 Nissan introduced the first class of Nissan Miss Fairlady in 1963 when it launched a new showroom in the heart of Tokyo, Ginza. Viewing the documentary is like going through the time tunnel as it shows images of the old Ginza. Nearly 50 years later, Miss Fairlady remained as a symbol for the brand in Japan, just like the relationship between the Singapore Girl and Singapore Airlines. "We established the gallery on the second and third floor of the San-ai building. At that time, Tokyo was the center of Japan and Ginza was the center of Tokyo. Fashion, culture, and many other things all began their spread from Ginza," recalls Takashi Tsueshita, an advertising manager with Nissan at that time. "Nissan, as a top-tier company, we wanted to put a showroom here on this Ginza corner," he added. 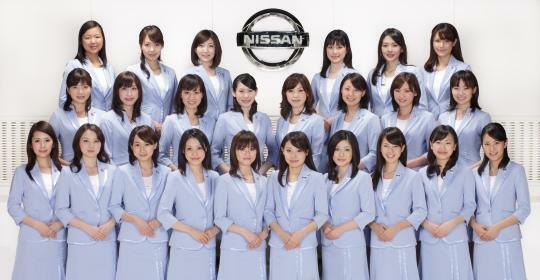 Introduced as a concept to accompany the new Nissan dealership, five Miss Fairladys were selected from a competition and given product training so they could respond to customers� enquiries - a novel idea at the time. Just like the Singapore Girl, a Miss Fairlady needs to travel frequently. "We were dispatched to dealerships outside Tokyo to do presentations when they displayed new models in locations like Osaka, Fukuoka, and Okayama. I remember being sent to all sorts of different places," said Yoriko Higano, a Miss Fairlady in the early 1970s. Interestingly, her daughter, Atsuyo, decided to follow in her mother's footsteps decades later. A fellow former Miss Fairlady commented that a Fairlady receives very high level of training and education and therefore after their careers as a Miss Fairlady, many become announcers, celebrities or actors by making use of their presentation skills.